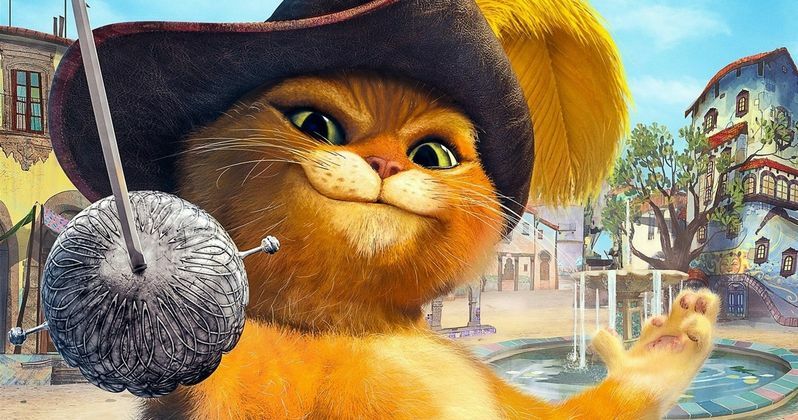 This Friday, May 8, The Adventures of Puss in Boots returns to Netflix with five brand-new episodes! We have an exclusive clip to celebrate this latest debut. Watch as Puss must leave town on a mission of great urgency. He is on a quest to find...The Fountain of Youth! In the all new episodes being released today, Puss must don his signature footwear and spring to action when he accidentally breaks the magical spell that protects the hidden city of San Lorenzo. Puss discovers new revelations in his continuing adventures as he searches for the Fountain of Youth, fights a Devil Wind and bests a Golem, all while trying to counsel Mayor Temoroso. Danny Trejo guest stars as the villainous El Moco, a vicious brigand who vows to get revenge on Mayor Temoroso and the town of San Lorenzo. El Moco will stop at nothing - even if it means coming face-to-face with the world's greatest feline hero, lover (and milk connoisseur), Puss in Boots!